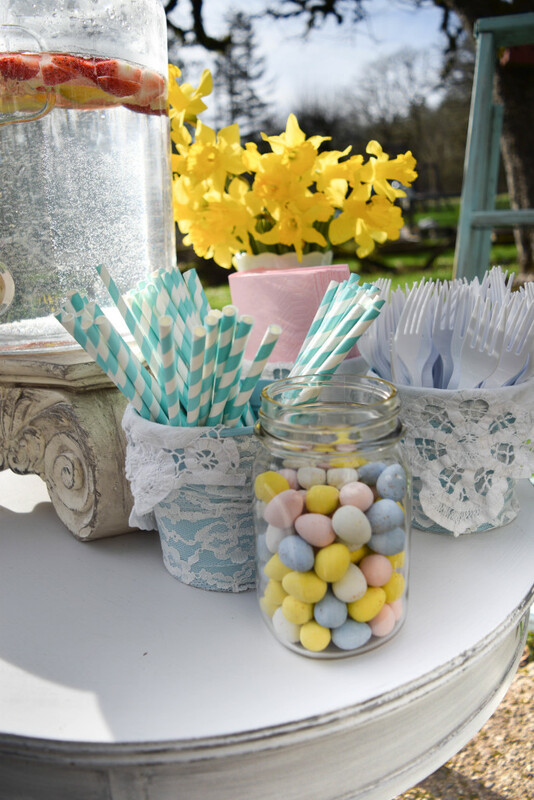 Creative outdoor dining Easter brunch ideas can be very simple and super fun. First I started off with a basic burlap tablecloth that I cut to size. Burlap comes in very handy because you don’t have to hem the edges. Then I placed one of my custom order spring style table runners for a splash of color. Now comes the really fun part…the table centerpieces. For this one, I chose a white shabby chic farmhouse theme. These custom items can be found in my shop Hallstrom Home. Of course, I couldn’t resist hanging our custom made crystal orb chandelier found in shop link here. I just love how the sunlight reflects off the crystals for a whimsical feel. 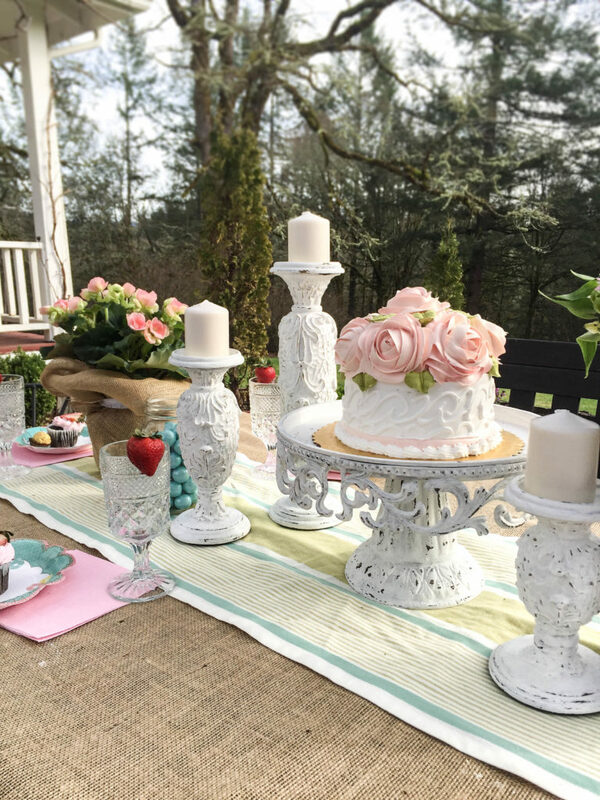 Simple, Easy Creative Outdoor Dining Ideas for Your Easter Brunch Farmhouse Style. I love to use vintage glassware as it adds a little bit of sparkle. I opted for pretty scalloped edge paper plates with a floral print because I couldn’t resist them from Michael’s Craft Store. 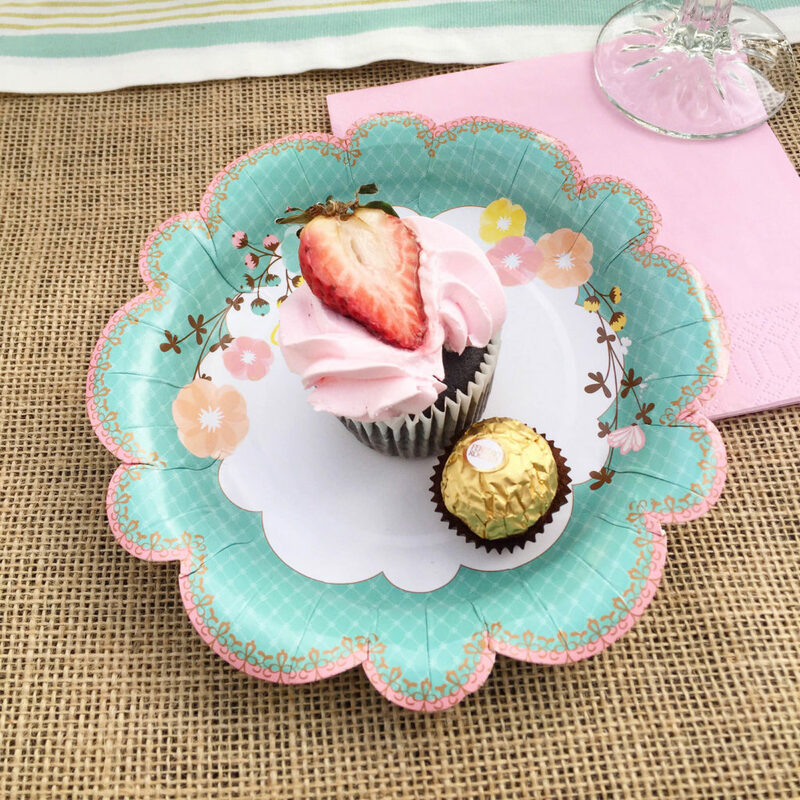 Check below in our affiliate links for more super cute paper plate options. I love easy clean up without sacrificing style. 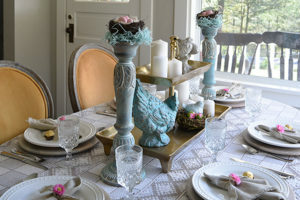 Your guests will think you went through a lot more work than you really did when using pretty items that draw the eye. 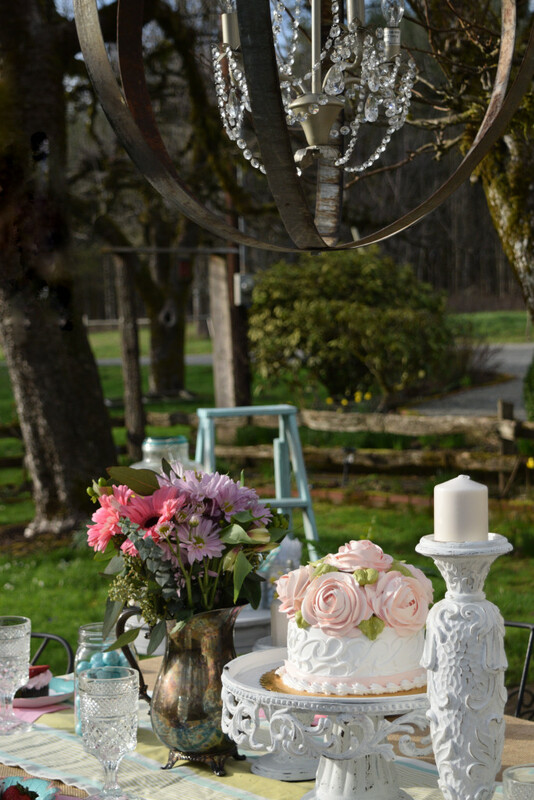 Creative Outdoor Dining Easter Brunch Ideas with darling floral paper plates. Who could resist a yummy cupcake with fresh strawberry and a chocolate truffle by Ferrero Rocher? Could you imagine giving each of your Easter Sunday brunch guests one of these beautiful elegant chocolates? I’m certain you would score major points for this one. I like to add these to our wedding table settings as well. 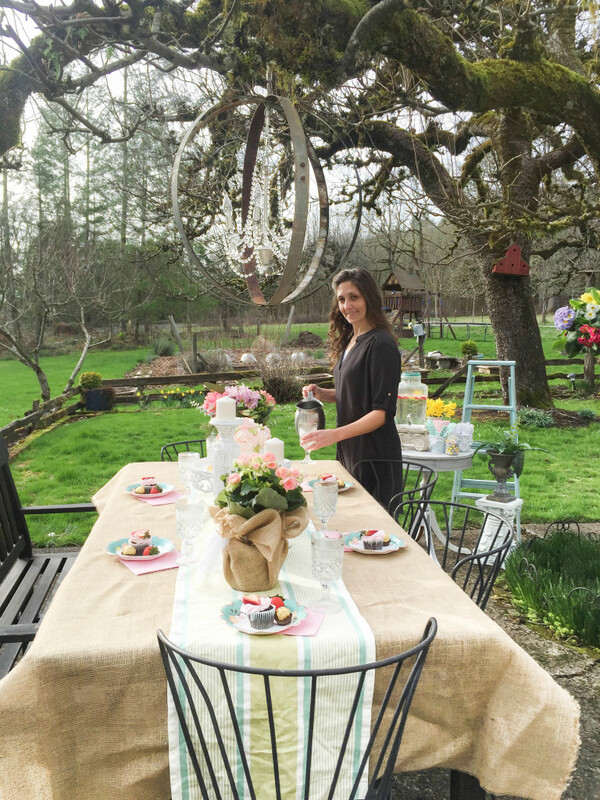 Now comes the real story of our Creative outdoor dining Easter brunch at the farmhouse. I happened to pick a sunny but blustery day to create this beautiful setting. That meant I had to stand precariously on the top of my table (before it was decorated) to hang my crystal orb chandelier. Then it required running into the house, cutting burlap to size, leaving a huge mess behind, and throwing the burlap on the table while the wind blew. Now can you guess how the rest of this went? I spent many impatient moments placing each item on the table to hold everything in place, hoping that nothing would fly away. It didn’t last. We happen to have one paper plate with a gorgeous strawberry topped cupcake fly off the table, to which Daisy delightfully ate it up and begged for more. Should I mention that I ate three cupcakes, or should I keep that a secret? I chose to use a glass water pitcher with lemons and strawberries for a refreshing twist as well as a splash of color. Add fruit to the water because it adds a touch of flavor while making it pretty. I don’t always use lemons and strawberries. It depends on what I have on hand or in the freezer–sometimes its raspberries, blackberries, lime, or whatever (as long as it looks pretty). Having a separate condiment area helps keep the clutter off the dining table yet very handy for refills. Now don’t forget the Easter candy!! This is my favorite part besides the cake. 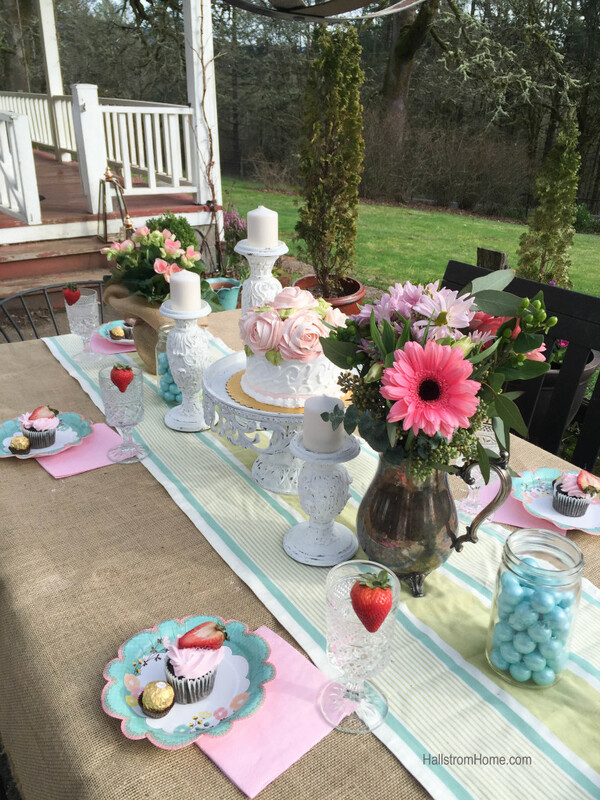 Creative Outdoor Dining Easter Brunch Ideas are really that simple and easy! I like to add fresh berries or lemon slices to my glasses because well.. They are charming and can be placed inside the glass just before pouring the water for just a splash of flavor. 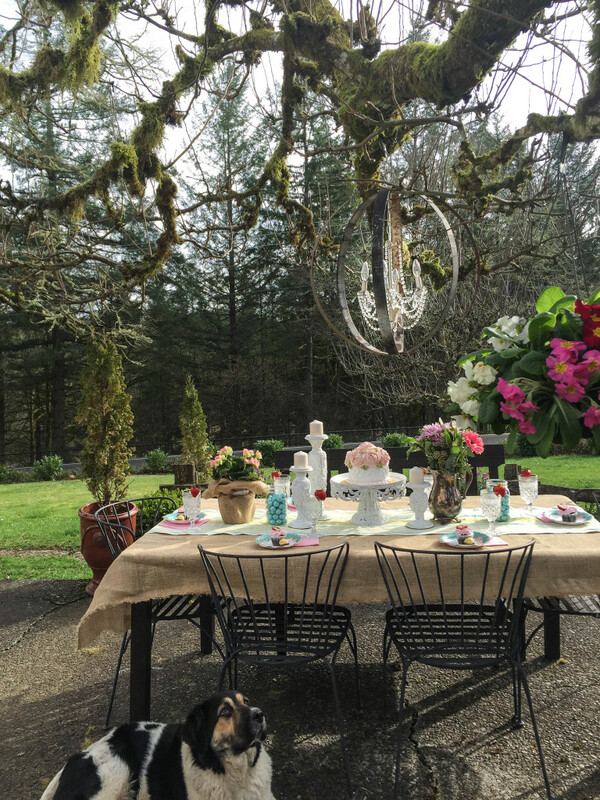 Hope you found this inspiring for your next outdoor Easter brunch! We use affiliate links to make your decorating easier:) Click images for shop link. We like to mix and match our style. Want more party decor inspiration? 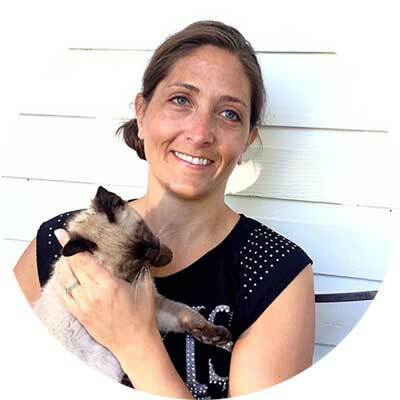 Take a look at these posts!